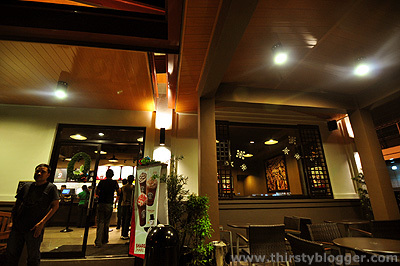 Coming to Cagayan de Oro for the first time, I was able to witness another first – the opening of the first branch of Starbucks in Mindanao which is located at the corner of Limketkai Ave and Rosario Crescent in CDO. Many Cagayanons are proud to have the “first Starbucks in Mindanao” – beating Davao by months who will have their first branch in Abreeza Mall, hopefully by mid-2011. As for me, I can’t help but feel a bit sad – because whenever I go to other cities in the country, one of the first things I do is ask what are the good local coffee shops in town. And with Starbucks starting to sprout in major cities in other regions, I’m a bit worried that home-grown cafes would not be able to keep up with this global brand. This Starbucks doesn’t have WiFi, and if it did, I’m expecting that it will not be free (like in most Starbucks branches in Metro Manila). Moreover, another interesting fact about this branch is that, the smoking area is limited to one side of the store al fresco (right side if you’re facing the entrance). According to one of the staff, because they only have a few seats inside, they’ve decided to make the left outside tables a non-smoking area. That night, I ordered a Coffee Frappuccino Lite, but still with whipped cream and blended in. I was surprised to see a charge of “add whip” on my receipt. The “Lite” drinks of Starbucks have less calories, fat and carbohydrates than the original recipe. Ordering this, it is assumed that you’re “on a diet” and would not want the whipped cream as well. However, you may still request to have the whipped cream and in my case, have it blended in. A request that I have done countless times at many Starbucks branches in Metro Manila and without getting charged a single time for it. So, I went back to my table, where my friend awaits, and we watched Cagayanons line up for their first taste of Starbucks at home. On a side note, I find it amusing that in Metro Manila, the young urban population is now busy trying be the first among their friends to get a Starbucks Planner 2011. For the people of CDO, it seems that they don’t really care much about getting the planner, as based on what I’ve seen. Anyway, I guess that’s it for this entry on my “Starbucks experience” in Cagayan de Oro. 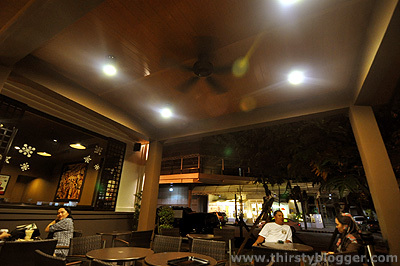 CDO has a lot of great homegrown coffee shops but then again, a Starbucks is a Starbucks. 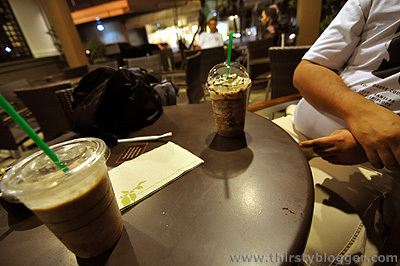 Starbucks will open 4 branches in Davao next year din. for an international brand, i’m surprised that the cdo branch is not consistent with their older branches. i hope starbucks reads about this. 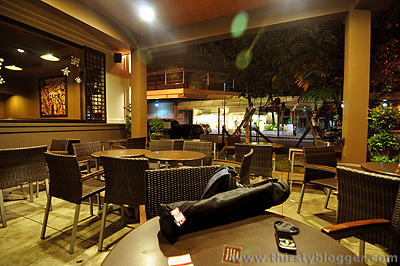 Four Starbucks in Davao in 2011? Yeah right. 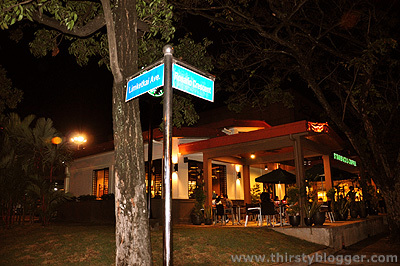 I have read this from a publication that stated that the first starbucks in Mindanao will open in Abreeza, Davao. Another epic fail. Cagayan de Oro is the 4th city in Visayas/Mindanao to host a Starbucks store, after Cebu, Boracaya, and Bacolod. This is good news because it’s a investor-confidence indicator, something that CDO needs to stay competitive, but I wonder why the city has failed to attract big-time BPO companies. Cities like Bacolod, ILoilo, and Davao have successfully drawn the likes of Teleperformance, Peoplesupport, and Sutherland to name a few while CDO only has Concentrix and Arriba. CDO has not fallen short of talents, I believe, because of the existence of big universities such as Ateneo de Cagayan, Liceo and Capitol, and I know of countless Cagaya-anons who worked in big call centers in Cebu and Manila. What’s wrong? Anyways, going back to Starbucs CDO, I have heard that it’sone of the strongest SB stores in the country in terms of sales. Talks of another branch in CDO is persistent. :)) i love the part when they just leave their stickers on the table, i have taken mine religiously and i got it last 25th! OK.. As far as coffee shops go I can be pretty picky (I used to be a barista here in the US at a local coffee shop… and since have become a coffee snob of sorts). Imagine my surprise that there happened to be a Starbucks in CDO. Looking for a small cup of American coffee I stopped in. The staff here are the FRIENDLIEST around, over my vacation stint of 8 weeks I returned almost everyday for my Java fix- they would always greet me by my first name, ask me how my day was and if I was enjoying my vacation and whether or not I would like my latte hot or cold. Issa, Lou, Wanz, Gayle and EVERYONE you are the best! Hope you get to read this, and looking forward to my next visit~Ill be stopping in to say hi to y’all!